Santa Gadea Black Label is set apart from other cheeses by its combination of rich organic goat’s milk and a 15-day fermentation process. This turns out a firm, creamy organic goat’s cheese with a mild but fully rounded flavour. Stored in its cedar box, the cheese will get a little more tangy and pungent as it ripens. 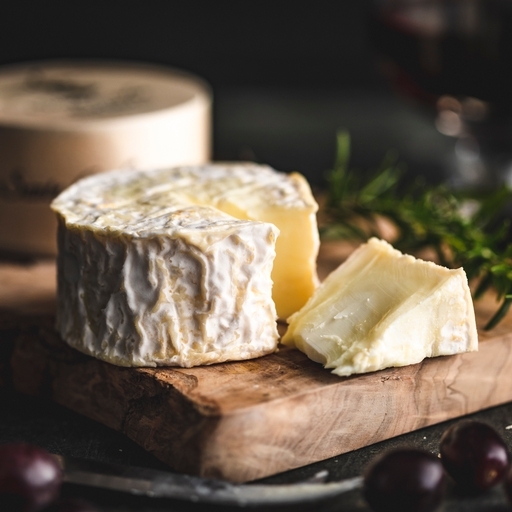 A cheeseboard essential, Santa Gadea Black Label is also excellent melted into pasta, stuffed inside chicken breasts or roasted peppers, used to create a satisfying salad, or to liven up a pizza. Paired with crusty bread and chutney, it also makes a very tasty lunch. Keep in the fridge for up to 7 days, but remove before serving as this cheese is best eaten at room temperature. Santa Gadea is a 2,000-acre family-run bio-sustainable farm, hidden among ridges and gullies in Burgos, a Northern province of Spain. Alfonso’s 1,000 French goats spend their days freely roaming the sunny pastures and their nights tucked up in a specially constructed barn of French design to prevent them from becoming homesick! Pasteurised goats' milk, salt*, animal rennet*, calcium chloride*, culture*.